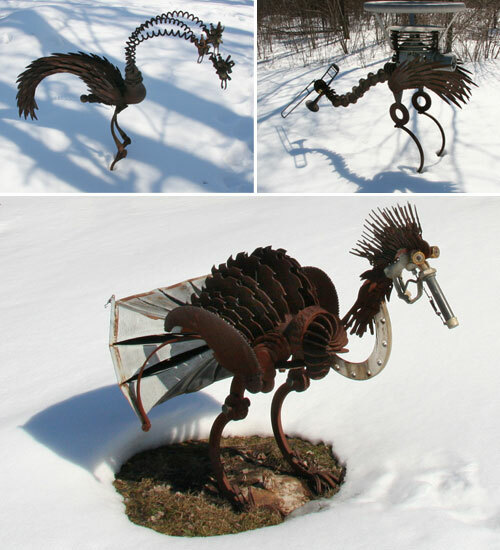 We have introduced you with lots of recycled art before, like recycled carpet art, recycled glass bottle art or recycled tire sculpture. 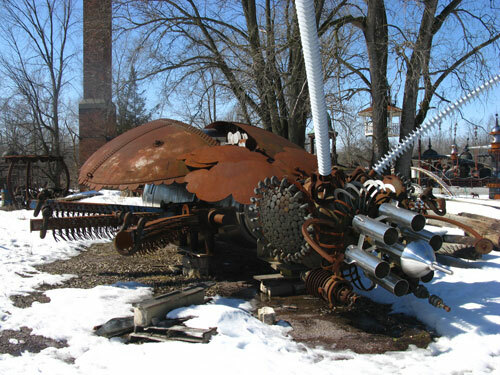 But there is one materpiece we haven’t talked about, which was regarded as “best steampunk sculpturer EVER”, that is Dr. Evermor’s Forevertron. 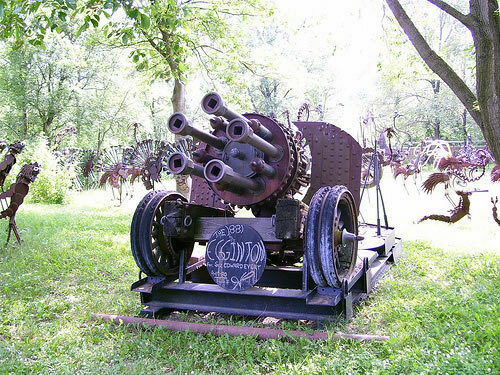 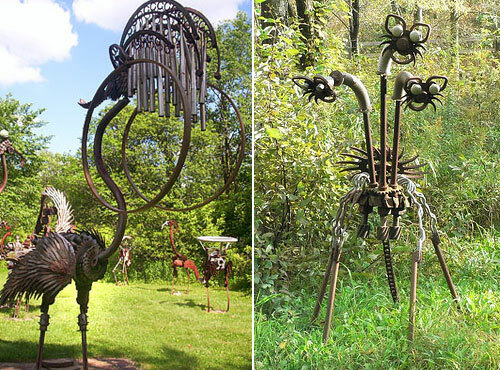 All the amazing stuff listed in this post was made by Dr. Evermor, in Brooklyn, semi-rural Wisconsin. 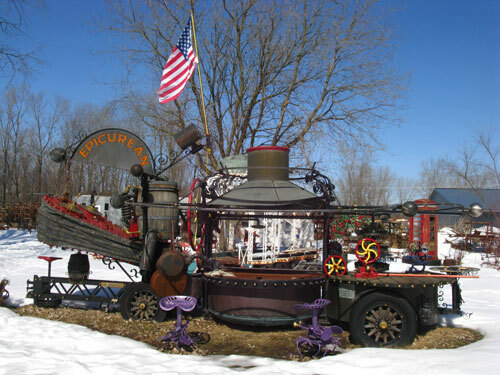 Forevertron is the biggest scrap-metal sculpture in the world. 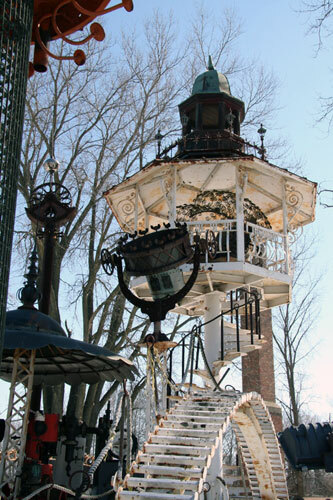 All components of Forevertron are salvaged from old bits and pieces of machineries between 50 to 100 years old, and are welded and bolted together for stability. 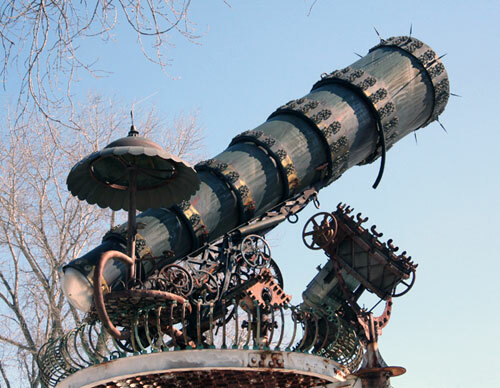 Its components include a pair of bipolar electrical dynamos constructed by Thomas Edison in the late 19th century and a decontamination chamber from the Apollo space mission. 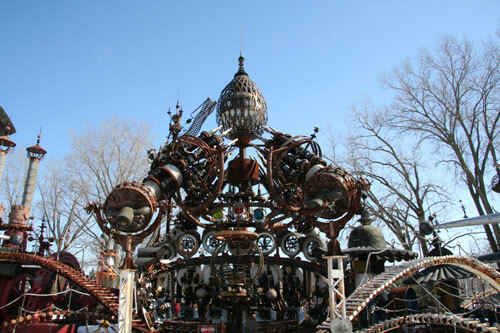 The top of the sculpture is a copper-clad glass ball, meant to be Dr. Evermor’s space capsule! 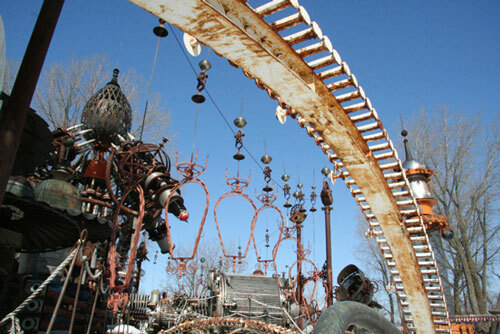 In addition to the Forevertron itself, Dr. Evermor has built a tea house from which he says Queen Victoria and Prince Albert may observe the event. 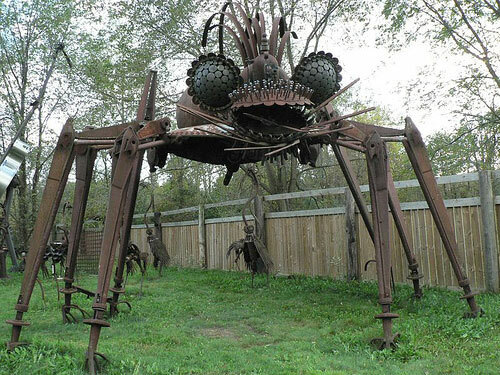 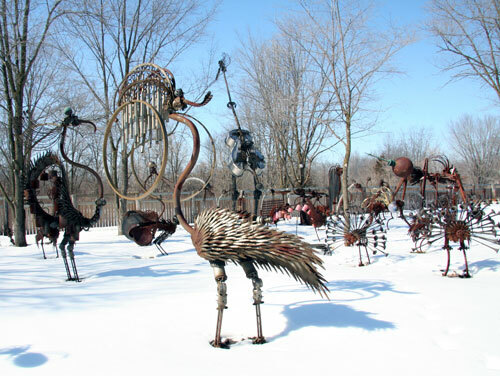 Dr. Evermore’s Art Park is also home to many other sculptures, including various gigantic insects, birds and animals. 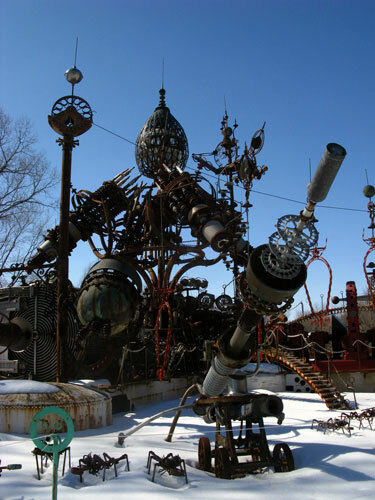 for more photos: Flickr photos tagged with Evermor, Forevertron.